The Word of God is a powerful weapon that needs to be a large part of our focus. Sadly, it is often pushed to the background behind our hectic, tiring lives. Arise and Shine! is a light in that darkness. 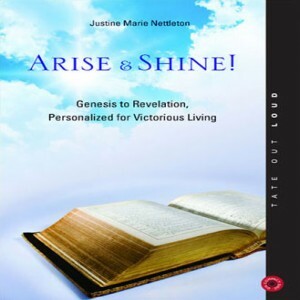 Author Justine Nettleton has transposed the Bible's most encouraging statements into first person so you can repeat what is written in prayer. We must be able to hear, meditate, then speak the words of Scripture to create meaning and further change in our society. The world does this without God and gives the universe the glory, but this was first begun by our Father before the world began—when he spoke and created the heavens and the earth. 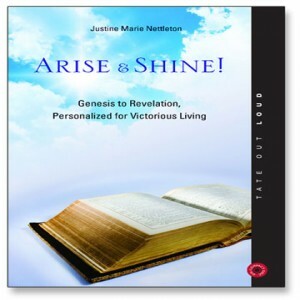 Arise and Shine! is an opportunity for those who aspire for great things in the kingdom of God to finally make a change; stand up, Arise and Shine!